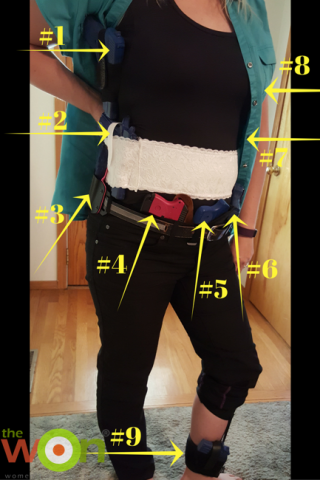 One of the hardest questions that I’m often asked as a firearms instructor is: “What’s the best holster for a woman?” The answer, truthfully, is that it depends on many things: style of clothing worn on a daily basis, material of the clothing, body size/shape, size of the firearm and any physical limitations. Armed and In Charge is Sponsored by Lasermax. Since this is such a popular question, it’s no wonder that concealed carry fashion shows and holster clinics are at hot ticket. I recently hosted a holster clinic for my local chapter of The Well Armed Woman (TWAW) and the room was packed with women wanting to learn about the options available. I also had the fun privilege of equipping myself with various holsters, all concealed, and asking the participants to guess how many guns I was carrying. Most guessed between 4 and 6. I actually had 9 guns hidden on my body, plus one in a concealed carry purse! We also had a “show-and-tell” time, where members could talk about their favorite holsters, what they liked about the various models and if there were any disadvantages. Several of the women agreed to share their comments and be photographed wearing or displaying the holsters they chose. 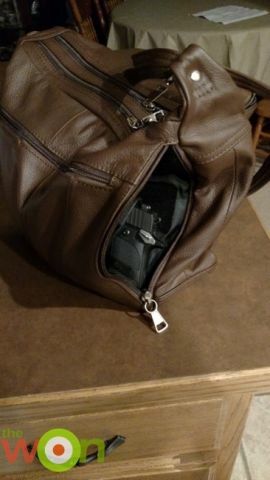 Why did you choose that holster? After watching all the holster videos on TWAW’s website, I felt that abdomen carry would suit me best. With this holster, I really liked the idea of reducing the overall profile by having the clip offset to the side of the gun itself. Another great feature is being able to adjust how high or low the holster rides with 3 holes to choose from for the clip that comes with the holster. This holster would not work for me, were it not for the optional Ulticlip. I don’t ever wear a belt and using the Ulticlip keeps the holster right where I put it without fail. 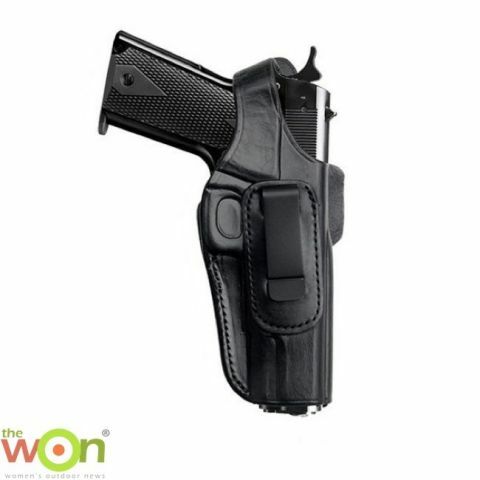 An awesome clip and a holster with great retention and the adjustable features make this the holster for me. What gun do you carry in that holster? On a scale of 1 to 5, with 1=very uncomfortable & 5=extremely comfortable, how would you rate your holster? 5 – Being able to adjust the cant, depending on what I’m wearing or doing, makes it easy to forget that I’m carrying at all. What would you say are the disadvantages of your holster, if any? 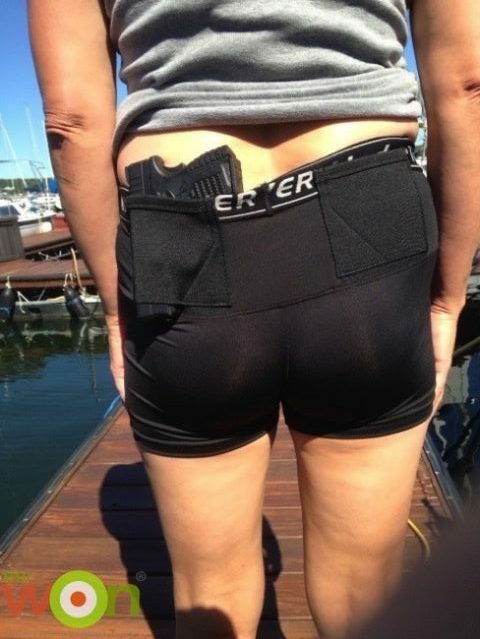 I don’t experience any disadvantages with it myself, but I suppose if someone wanted to use it with lighter-weight waistbands (as opposed to jeans) then, even though the Ulticlip would hold the holster in place, I could see the weight of the gun pulling down on the waistband posing an issue. Deb’s choice holster is made by Tagua. Trigger cover is not as tight as I would like. Not really its fault, but I have a tendency to overfill it, making it heavy to carry for any length of time. I came to this holster after I tried a few kydex only styles and found they were not comfortable for IWB carry. I did some online research, looked and the reviews and found Crossbreed. They are also made locally so that was a big plus as well. A local store that carries them, let me give it a quick try before I purchased and found it very comfortable. Worn with the right pants and belt I would rate it a 5. Sometimes I have to double check that it’s still there! Between $60 and $70, I believe. It’s been a few years ago. Although I haven’t found the need to adjust it, the belt clips and shell are not adjustable … while I know some are. Although some holsters of this hybrid style are adjustable, they also add some thickness, which I don’t like. It also best to wear it with a belt. 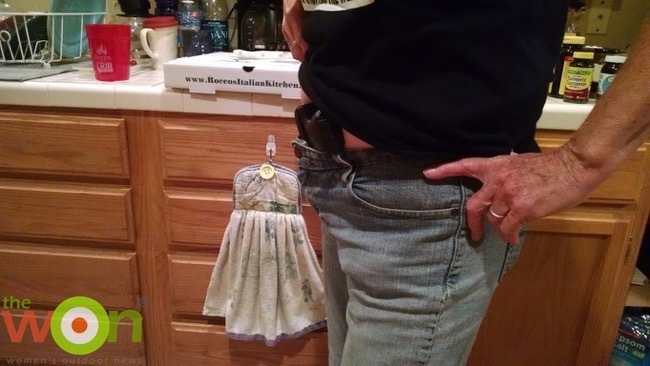 I’ve had several holsters that didn’t work well for me. I found the Sticky online, don’t remember if someone sent me a link or not. It wasn’t expensive and there was a 20%-off coupon. So, I gave it a try. The only disadvantage to the Sticky is finding a safe place to set it while using the restroom. There is always the possibility of leaving it. I’ve been using one for close to four years. Haven’t forgotten it, I work at it. The ease of walking – it’s comfortable under clothes. As you can see, the number of holster choices varies as much as the women who wear them. 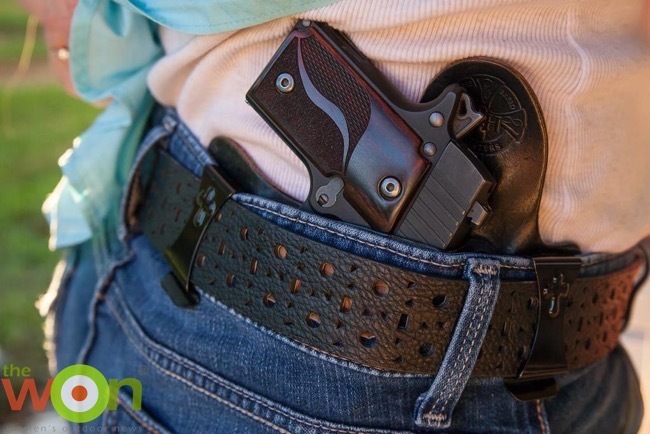 Your holster choice is just that – yours! We’d love to hear what your favorite holster is and what you love about it.